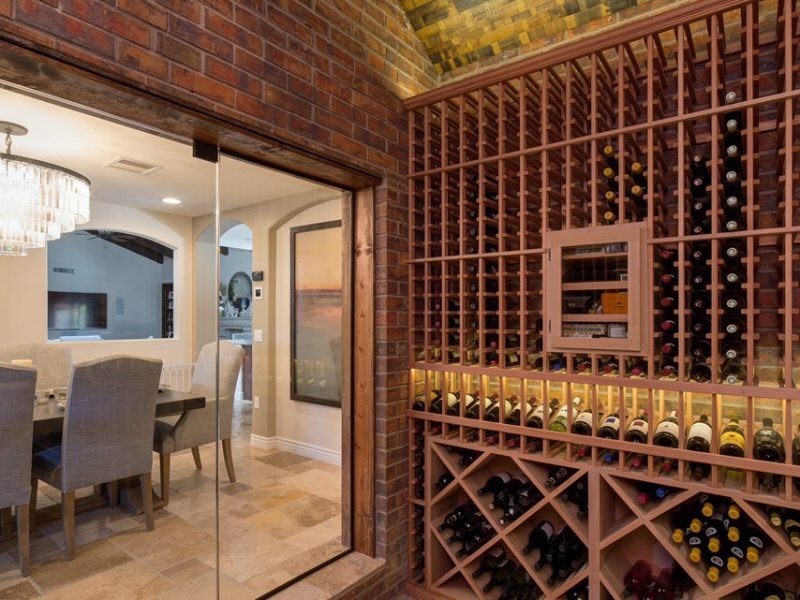 This elegant wine room was created by closing in an unused and awkward courtyard off of the existing dining room. The brick walls remained as they were. We closed in the roof and then clad the ceiling with actual wood remnants from reclaimed wine casks. Store front glass keeps the wine room at the optimum temperature, and allows viewing from the dining room to the 1200 bottle capacity space. The client’s preference for Cisco “wine” is beyond our control.